Bbbrrrrr! We are seriously chilling out down here in the southern states - an icy blast has left us blanketed in cloud and wintery cold winds are whipping in and shaking the autumn leaves from the trees. It feels like we skipped straight to August. It's awesome - but it has definitely spelled the end to the zucchini, tomato and capsicums. I've had a big month getting my head around the market garden, and finding a rhythm. Mornings spent weeding, planting, mulching, harvesting; afternoons closer to home. I've never slept so well. 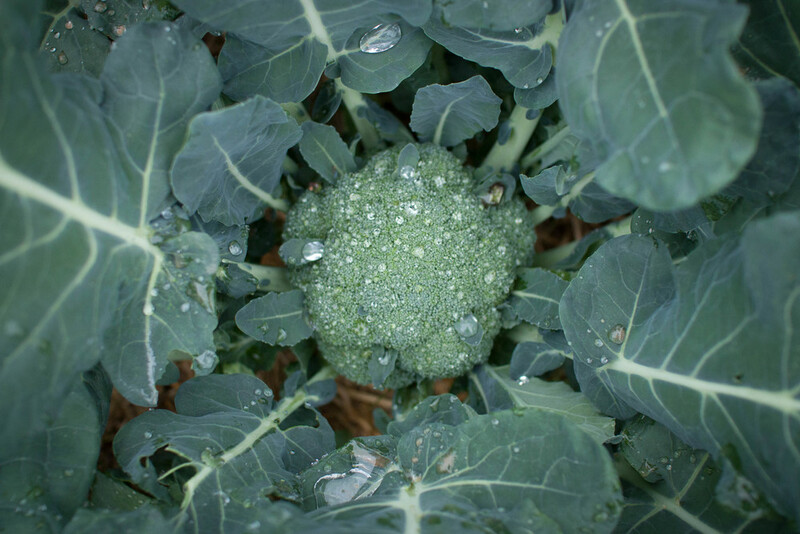 I'm beyond excited that we are already harvesting broccoli (my favourite veggie!) thanks to some early planting, and if anyone, anywhere, would like some kale - you are so welcome to come and pick some, as we have a serious over-supply. Gotta love a reliable crop. On a serious note, I shared on Facebook recently that I had a pretty special moment in the local green grocer, when I realised I only needed 3 items - everything else I was looking for we are producing here. Such a motivating moment, a taste of exactly why we grow. This month we planted red and white onions, snow peas, broad beans, silverbeet, sprouting brocolli and garlic. 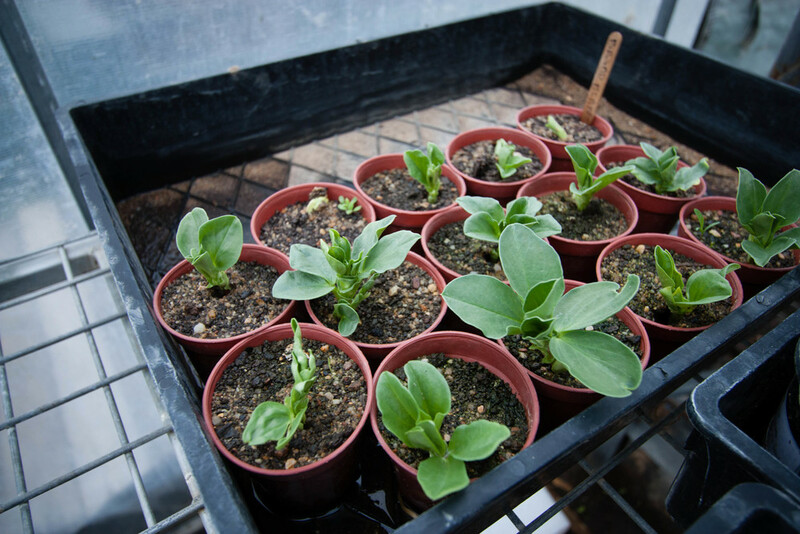 We chose to plant the snow peas and broad beans in pots rather than direct due to the fact we have quite alot of slaters and earwigs in some areas of the garden, and they are notorious for attacking large seeds in the ground. Hoping they won't be too disturbed by being planted out. Broccoli, kale, tomatoes, zucchinis, silverbeet, eggplant, capsicum, peppers, some tiny new potatoes, lettuce, Jerusalem artichokes and shallots. 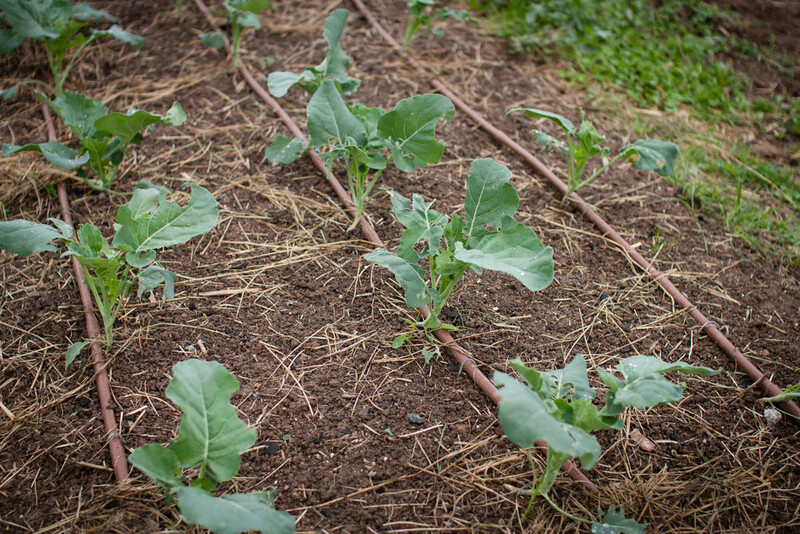 Finish off mulching a couple of beds, plant out brassica seedlings, Italian parsley, snow peas and broad beans. 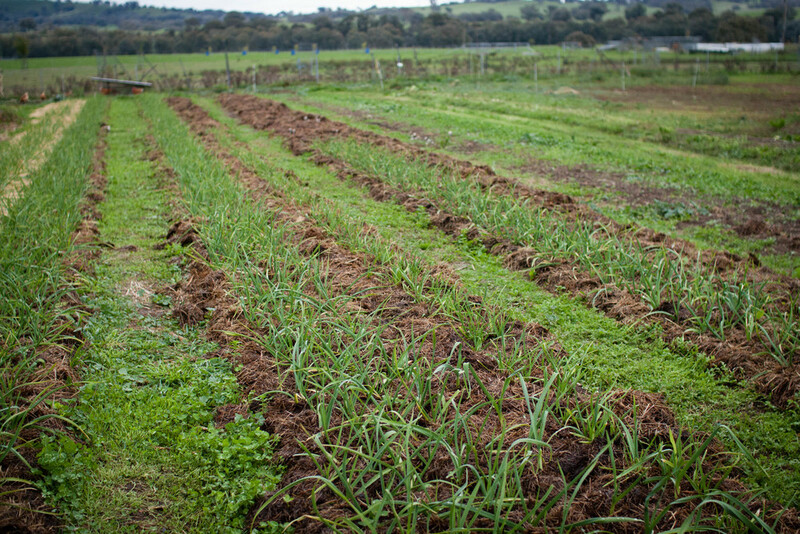 Pull out zucchinis, capsicums and tomatoes and prep bed for sowing to green manure to get it pumping for spring. We might let the chickens in to clean it up - I'm sure they will do a better job than us! There will be routine weeding of all the beds, but especially the garlic - some sneaky weeds are popping their heads through close to the plants. Another important weeding job will be the onions - as we chose not to mulch them, it's a priority to stay on top of the weeds. Looking back over the last month, I'm pretty amazed at the change in the garden, and in our task list. Winter is coming! PS. Did you see my last post? 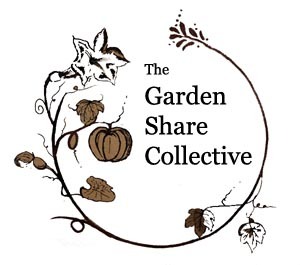 There's a pretty sweet giveaway up for grabs with books, seeds, a copy of Pip Permaculture Magazine AND an hour to pick my brain on Permaculture garden design. You've got until midday AEST on Tuesday 13th May to enter by leaving me a comment and popping your email in sign up box. Goodluck!